The Stoelting 4158310 floor stand is stationary and is used to hold frozen beverage machines, including models CF101, E111, F111, E112, F112, E122, F122, E131, F131, F144, O111, SF144, and VB9. The machine bolts onto the top of the stand for safety and to keep it in place. 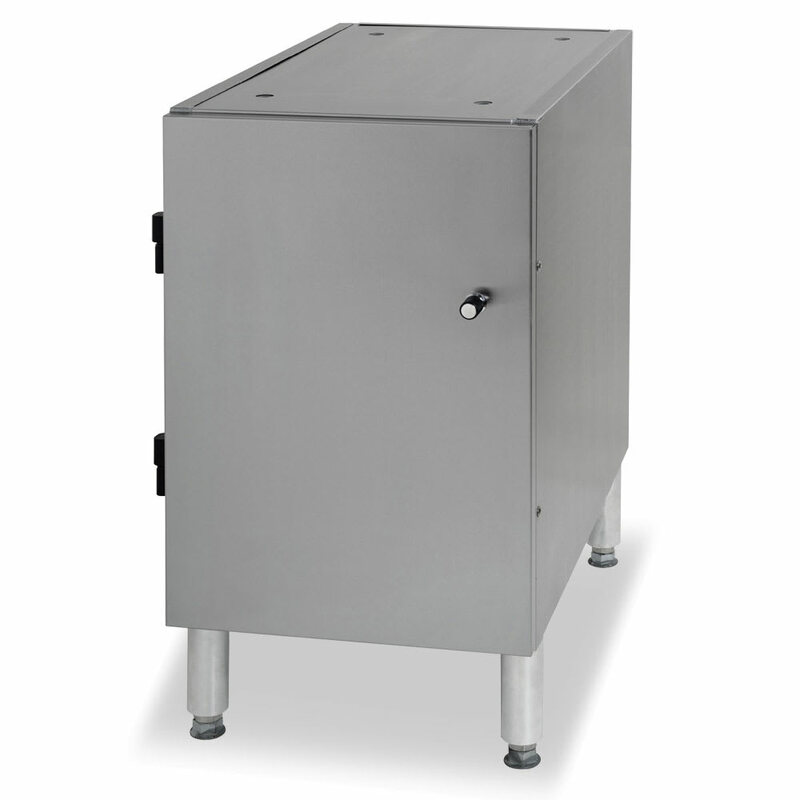 A steel frame makes the stand durable, while its stainless steel exterior is heavy duty for commercial use. 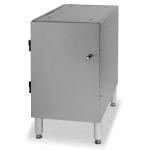 Its hinged door to the dry storage area easily removes so it can be cleaned or replaced, and the door knob is adjustable. The Stoelting 4158310 floor stand is a made to order item, meaning it cannot be changed, cancelled, or returned once ordered.